Scary games have been around since the early 80s, probably one of the most famous was the TI99/4A hit, Hunt the Wumpus. 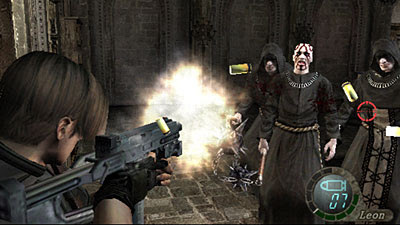 Back then, the tense atmosphere created by the element of surprise made the game seem more sophisticated than it actually was… Almost as though the game was plotting your demise from the very beginning. Fast forward a few years, and there’s System Shock 2, a game so incredibly dark and atmospheric, you almost can’t help but scream when approached by nasties from the shadows. Playing the game with the lights off was a sure sign of utter hardness, an example of “man at his most man”. The game as a whole was well executed, and once again it seemed as though the game was planning to scare you senseless from the very beginning. Which kind of brings me nicely round to Resident Evil 4. Once again, a game where every section has a perfectly orchestrated scene involved designed to terrify and frighten you to the point of breathlessness. And it’s done so well, I’m going to stick my neck out here, and make the boldest statement I have probably EVER made. 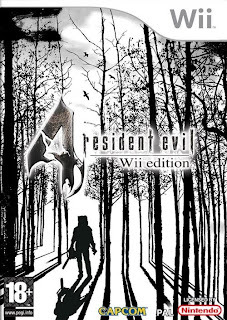 Resident Evil 4: Wii Edition is gaming perfection, and strongly contests for “Best Game Ever” in my book. OK, so now I need to back that up. First of all, the backstory. Ashley Graham, the President’s daughter is missing (hold on, is this a 1980s videogame?) 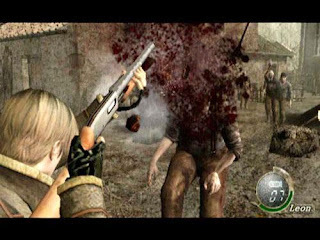 and one man has been sent to find her; Leon S Kennedy, A.K.A… you. In your quest you will find yourself immersed in a world of the undead, the zombie-like Ganados are hiding Ashley somewhere, and it’s not long before they’re trying to eat your brains to prevent you completing your mission. 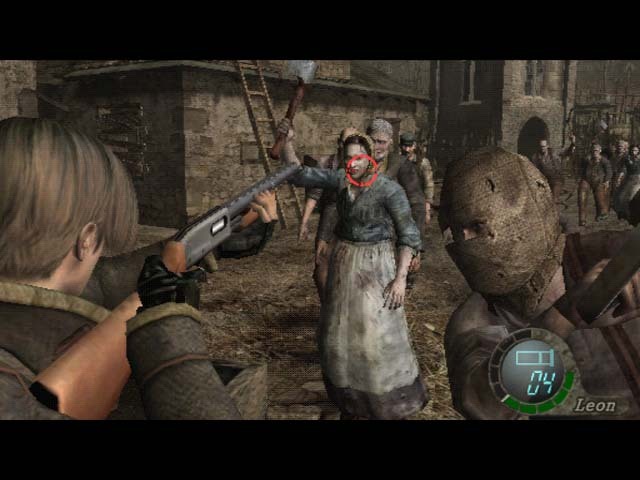 The game begins with some of the most difficult sections of the game (mainly because you haven’t “hardened up” by means of weaponry or increased health bar, which I’ll touch on in just a moment) where you first of all find yourself checking out a house on the outskirts of a village, then being attacked by the inhabitant, and then surrounded by several more of the brain dead outside. Once you escape this first little skirmish (although you’ll feel like that was actually a bit of a battle with your ammo so scarce, the truth is you didn’t have much to contend with there at all in comparison to later sections) you’ll head to the village, where you will in fact be chased into a building, repelling enemies from windows and the stairs, and just as your ammo is fizzling out you’ll be wondering how on Earth you’re supposed to survive this onslaught… And probably feeling really genuinely terrified because they just DON’T GIVE UP. You haven’t seen the half of it yet though, believe me. This is a game of so many parts and sub-sections, it’s an epic adventure of gargantuan proportions. To give you an idea, I thought the game was nearly over and escape was nearby as I approached the big castle, only to find that in fact I had just finished ONE THIRD of the game, and had two equally huge levels to complete. 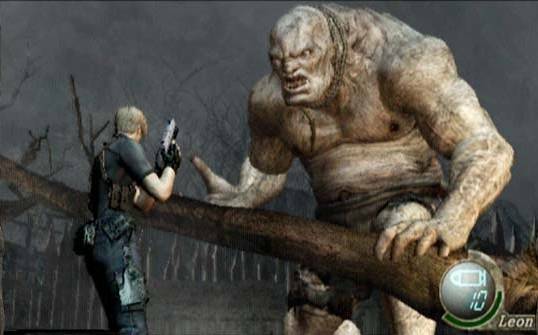 And in that time you have some truly HUGE enemies to dispose of in any way you can. I mean, the first time you run into one of the Chainsaw-wielding zombies is bad enough (the ones with the bags on their head). 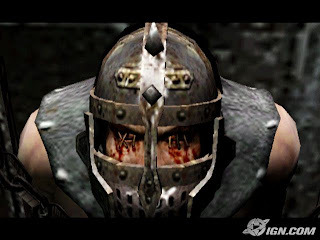 With weak weaponry, he’s a real challenge to escape from, never mind kill, and it really is a case of running for your life as he’s not opposed to lopping your head off if he gets close enough. 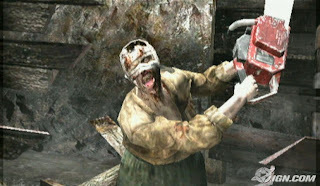 The grisly cut-scene does not disappoint, graphically depicting the sequence of events that occur in the event of contact between human neck and active high-powered chainsaw. 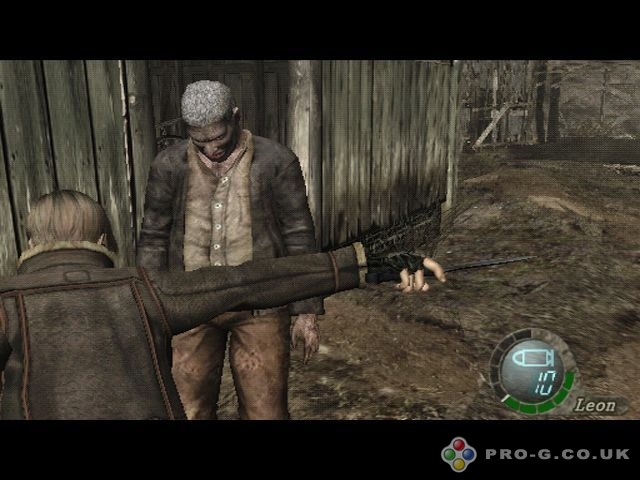 (Just in case you’re not sure, it begins with pained expression on Leon’s face as chain begins to rip through his flesh, through excessive amounts of blood as the jugular and other blood-carrying lines are severed, to head being completely disconnected and lifeless body slumping to the floor. It’s intense and somewhat disturbing, but it really brings home the fragility of human life). Along the way, you can save your progress by means of the typewriters scattered around the maps, something utilised since the original release back in the days of the Saturn, which might not earn any points for realism, but then again neither does the plot (although it does a good job of trying to convince us THIS COULD HAPPEN). One or two other features of the game are a little less convincing, but still don’t detract from what is a superb experience. Feature number 1 is the Merchant. These guys are scattered throughout the map (sometimes in the same place as a Save Point), and they’re your one-stop shop for all things weaponry related, as well as a couple of other bits and pieces, such as a larger inventory, treasure maps and first aid sprays. He’ll also buy things from you, such as any treasure you might find (some treasure can be combined to make more valuable treasure, such as gems in a head-dress) or any ammo you’re not going to use. He’ll also tune up your weapons to make them more powerful, faster to reload, faster to fire or even just chamber more rounds at once (Again, perhaps a slight misjudgement making a sub-machine gun capable of holding a 250-round magazine). You’ll want to toughen yourself up too, though. Along the way you’ll find herbs with healing qualities. Green herbs are the most common, and each one restores a good chunk of health. Mix them with a red herb, and they’ll completely refill your energy bar. Mix a green herb with a yellow herb and your maximum health is increased. Mix all three herbs together and get both your health bar increased and boosted to its new maximum. 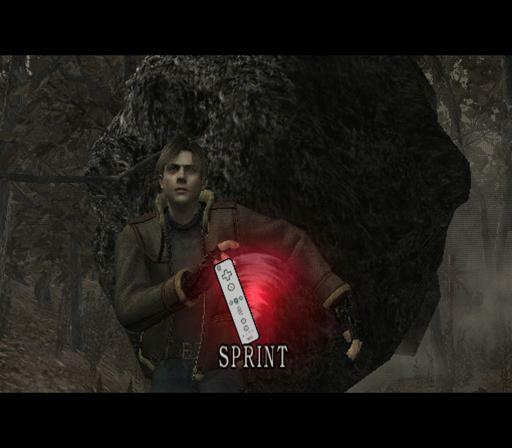 Feature number 2 is the sub-games. The pendant-shooting game is fine (and you can understand / appreciate some sort of magical/mythical link between the pendants and what’s going on), but the shooting gallery moments feel like they were only put in to simply take the mick. They don’t really belong, and although there’s a nice bonus for collecting all the “prizes” and getting the top scores, they do feel like they shouldn’t be in there. The main reason is there’s a massive game here already (50 hours of play time it took for me to finish it the first time! ), but once you complete the game, you’re actually sorry it’s over, and you’ll want to do it again. 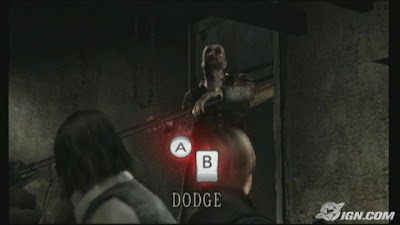 Luckily, you’ll have unlocked “Professional Mode” (I think it’s supposed to be harder, but I can’t really tell), Separate Ways (Where you take the role of Ada Wong in all the parts of the story where she actually crosses your path through the game as Leon), Assignment Ada (another Ada Wong mission) and the Mercenary challenges. This, for me, is the pinnacle. The mercenaries missions basically form the premise of throwing you, kicking and screaming, straight into one of the hugely intense mega-battles from the main game (e.g. the first village) but this time REALLY with no end in sight, a time limit and high scores to challenge. Attain enough points and survive to the end of the time limit and unlock another character. There are 4 mercenary missions and 5 mercenaries to choose from. Look, there’s not much more to say. This is an epic, and a classic. I’m going to say it once again, I’m a STRONG retro-head, firm in the belief that until this game, nothing had a hope of EVER being as good as Chaos, Sim City 2000, Pyro II, and so on. This game has dominated my evenings of gaming completely, and even after completing it, I’m gasping for more, something that has NEVER happened before, except with Chaos. 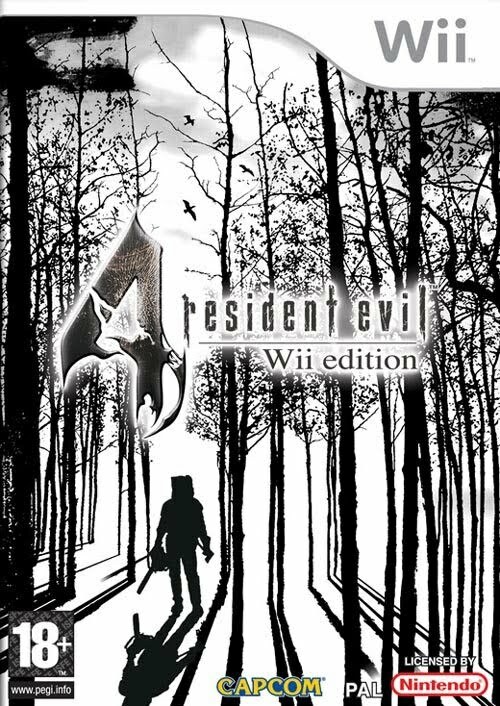 If you don’t play this (on the Wii, the way it was MEANT to be played), and you miss out on many hours of some of the finest gaming to be had since the dawn of the electronic era. 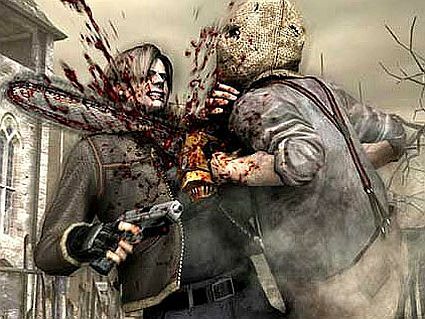 Bloody play it. See for yourself. NOW. There’s no excuse. None whatsoever. You still reading this? Then go and buy a Wii and Resident Evil 4 now and immerse yourself. Do it.